If I Might Interject: Should We Follow That Cause? The Spiritual Works of Mercy show there are many things we can do in the face of error, including instructing the ignorant and admonishing the sinners. When done fully informed of Church teaching, when done in charity and when done in submission to the teaching authority of the Church, these can be good things. But these things are not always done. Sometimes the person or group with a cause lacks the love, the understanding or the submission to the Church. When one or more of these things happen, it is a sign that the activist’s cause may be out of sync with the Church and, as a result, may actually be going against God (see Acts 5:39). Because of this, I believe there are certain things to watch for when deciding whether to take part in a specific cause—even when we may agree with the general principles it promotes. The word “cause” is an equivocal word, which can be used differently by different people. In one instance, it can be a general idea—for example the Church standing up for the right to life and the proper understanding of marriage. In another instance, it can be referring to a specific group—for example, there are many groups working to end abortion. For the purpose of this article, I am writing about the second meaning of the word “cause.” That is, those specific groups who act in defense of a Church teaching. Is there Love? Or Anger and Contempt? Wrongdoing can offend us, and anger against sin is not always wrong, depending on how it is directed. But the question is, does the activist show a loving concern for the person or group they are opposing? Or is the person/group seen as an enemy to be vanquished and punished while we ride on in triumph? That’s a hard thing to keep in mind. There are people who do publicly flaunt their rejection of Church teaching and try to make it sound like it is they who are the “real” Christians while those who try to be faithful are portrayed as bigots. It is easy to be angry at them. There are members of the Church who do not take as strong a stand on supporting the Church teaching as we would prefer. It is easy to be disappointed in them. But they are still children of God, and need our support in turning back to God. There should be concern for their souls and their being brought back to the truth, even if we need to admonish them for doing wrong. What does a cause opposing them say and do? Do they show this concern? Or do they just treat them contemptuously as people who are doomed to hell and the sooner they are out of the way, the better? If it is the latter, this is a sign that that specific cause may not be good to follow. Do they accurately understand the Church Documents or what the Accused said/did? Unfortunately, some Catholics treat Church Documents in the same way as Literalists take the Bible—with the assumption that the individual doing the reading is true and any disagreement with that reading is wrong. But even a Catholic trying to be faithful to the Church can miss a nuance in the Church teaching, giving a meaning to a document never intended. Even though the Church is quite firm on what one must do in being faithful, she also has a good understanding about the knowledge and will of the sinner. For example, it is common for people to try to contrast the Church documents on the necessity of the Catholic faith with the Vatican II documents on religious freedom as if the two were opposed. They present the two as being in conflict. But when you read Blessed Pius IX and Venerable Pius XII, you see they did not accept the idea of no salvation outside the Church in a way that denied the right of non-Catholics to exist unmolested. Likewise when reports are given concerning the words or actions of a Catholic, and these reports cause outrage, the question needs to be asked—have the words been reported accurately? Are there reasons for the action which are in keeping with authentic Church teaching? Certainly that is not possible in the case of a pro-abortion politician trying to justify the rejection of Church teaching, but we do need to ask whether the person intends to act against the Church. A lack of clarity does not mean an intent to be disloyal. If the person in question does not intend to act against Church teaching, then a cause seeking to attack the person as disloyal is misguided and should not be supported. In addition, we need to consider the significance of the misunderstanding. In some cases, it is because the person/group behind the cause is reacting to a wrong in the Church in general and assumes from the thing said or done that the person in question is acting against the Church. In other cases it may be that the people behind a cause wrongly think that something they prefer is a part of Church teaching and are confusing a disagreement over the best way to do a thing as if it was a rejection of doctrine. Of course, even if the person does correctly understand the person and the Church teaching, the reviling response is never justified. Do they act in submission to the Magisterium? The Pope and the bishops in communion with him are the successors to the Apostles. They do have the authority to bind and loose (Matthew 16:19 and Matthew 18:18), and we can have faith that the magisterium will not be permitted to teach error when it comes to things pertaining to our salvation. Yes, a priest or even a bishop may fall into teaching error. But when it comes to assessing where authority is, it is always with the Pope when he teaches with authority. Yes, Paul rebuked Peter in Galatia over his personal failings (Galatians 2:11-14), and some saints have rebuked some Popes (St. Catherine of Sienna comes to mind here) over their personal failings. But these were personal failings, not doctrinal errors, and they never denied that authority of Peter or his successors. 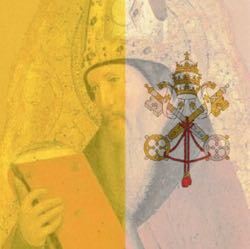 When the cause stakes out the position that the magisterium itself cannot be trusted or seeks to place itself as a judge in addition to or over the magisterium, that is a cause I will not join or lend my support to. A lack of love for the person or group seen as being in need of correction, treating them as an enemy to be vanquished. A lack of understanding of Church teaching, or of what the person/group actually said or did. A refusal to subject itself to the living magisterium of the Church under the current Pope and the bishops in communion with him. In such cases, this specific cause has gone astray. It is still acceptable to find a group that works to change an injustice, but not that particular group.